Drew Brees sold 2,200 copies of his book at the Books A Million here in Covington recently, in 90 minutes. Bookstores are rightly pleased with the volume, but I am more enamored with the rates. If my math is correct, that is almost 25 books per minute, or 1 signature about every 2 seconds, for an hour and a half straight! Having already mastered the 2 minute drill, Brees has other goals now, like the few second variety. Talk about a quick drop! Coach Sean Payton is known to be a stickler for preparation. In mini-camp earlier this summer, concerned about his quarterback being able to grip the ball after so many John Henrys by the time training camp rolls around (it starts this week), and to also practice the stroke for his own bestseller, Payton was likely in his signal caller’s ear with plenty of instructions; “No, way too much pressure with the index…..you hardly need the thumb at all……what I am looking for here, is just a quick sweep of the wrist, do you understand? And tell your agent to have the dang pens taped. No blisters!” I wonder if the autograph has e’s that look like i’s, or if the r’s have any definition. Inevitably, the last s is a liberal one, or the player really does walk on water. During camp, when Payton makes his daily roster, injury, and practice updates to the media, fans will bemoan if having to hear him say from the podium; “Brees, literary right, sore (hand), doubtful”. If that is the case, it could be a long season for the Nation. I should have volunteered over at BAM to man the table if the quarterback needed to take a break or go to the bathroom or something. I could have donned a #9 jersey, put on shades, and pulled the bill of a Saints cap way down low, and signed away using initials, blurring DB with BB. Who says a star player has to raise their head and smile, anyway? In the event my publisher arranges a book signing for Two Seasons, I needn’t concern myself with number crunching, flicks of the wrist, or holding onto a football, just a coffee cup. Two Seasons is now available for order from the first printing. The link is below. 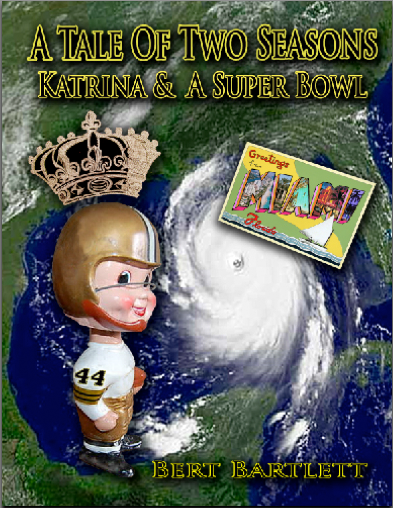 Posted in Uncategorized.Tagged A Tale Of Two Seasons, Books A Million, Coming Back Stronger, Drew Brees, New Orleans, New Orleans Saints, NFL, Pre-Season, Pro Football, Sean Payton, Training Camp, Write2grow.org.